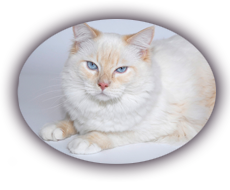 > Ragdoll cattery Narbondel: What are bladderstones? Different conditions contribute to the formation of different types of stones. Some of these may include:Nutritionally imbalanced diet Decreased water intake, Urinary tract infection, High concentration of magnesium, ammonium and phosphate minerals in the urine, Urine pH favorable to the formation of various crystals, Certain drugs and dietary supplements, Congenital liver shunt, Breed predisposition. 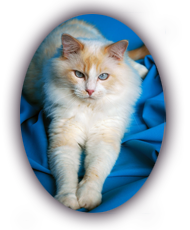 Once your cat has been diagnosed and treated for bladder stones, you’ll know what kind of stones he suffered from. Always have fresh water available for him and ask your vet if you should continue feeding your cat a special diet. Exercise is also important for keeping your cat’s system healthy. Your vet may recommend a urinalysis and urine culture several times throughout the year to test for crystals and/or infection. who have narrower urethras-that may prevent your cat from urinating. Some signs of a urinary blockage are vomiting, nausea, appetite loss and a hard, distended abdomen. This is an emergency situation and will become fatal if not treated immediately. Bladder stones can develop as a result of certain metabolic disorders. Diabetes mellitus and hyperthyroidism can lead to urinary tract infections, which can contribute to the formation of bladder stones.